There’s a lot to think about when you take on the role of a caregiver for a senior adult. The responsibility can seem overwhelming, so it may be helpful to break it down into a basic list of recommendations. The list won’t cover every situation that will arise, but it can be a helpful guide. What Should You Do as a Senior Caregiver? The stress of caregiving can lead to depression, increased susceptibility to illness, weight gain, sleep deprivation, physical injuries, and increased alcohol use. If you burn yourself out you’re not going to be very effective in caring for someone else. You have to accept that you cannot control everything as a caregiver. You can control how you react to a situation. Coping strategies include simply walking away for a few minutes to compose yourself, or thinking about the positive things that happened during the day. Most importantly, take advantage of offers of help from other people. Learn about the physical and/or cognitive illnesses of the senior adult you are caring for. This is particularly true if the senior suffers from Alzheimer’s or some other form of dementia. Talk to your loved one’s doctor and other health care professionals involved in your senior’s treatment and care, and consult support groups for information and emotional support. Being able to anticipate needs is far better for you and your senior than trying to react to them without any background information. A journal will provide a perspective that may get lost in the day-to-day work of caregiving. You can record your senior’s symptoms, medications, diet, mood swings, and situations that may trigger a negative response from your loved one. It is also good to record your own thoughts and emotions on a daily basis. Along with the challenges, list some of the positive things that happened during the day. A predictable daily routine makes it easier for seniors who can remember what happened 50 years ago but not what just happened a minute ago. The routine could include grooming, dressing, taking medications, eating, and other activities like taking a walk, reading a book to them or listing to music. Familiarity can reduce confusion, distractions, and frustration. Laughing requires living in the moment and appreciating it. If you can still find a reason to laugh or smile, then you are probably coping pretty well. And your good humor is not lost on the person you are caring for either. Yes, caregiving is a serious responsibility, but finding humor in it from time to time is a necessity. When you look at a caregiver “don’t” you realize that there is usually a “do” at the opposite end of it.If you find yourself in a “don’t” situation, follow these tips to reverse the situation. You are doing the best that you can. Stay calm and be positive and patient with yourself. Think about the good you are accomplishing in the life of someone you care for. 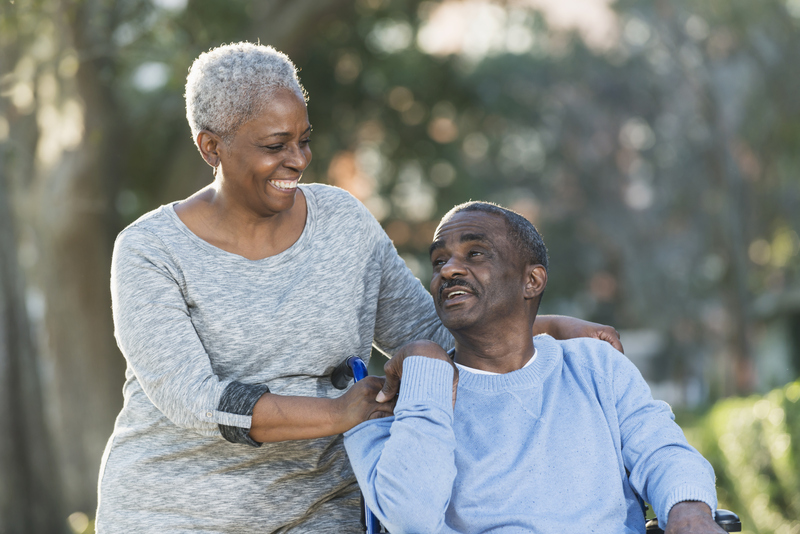 Some caregivers become so enmeshed in their caregiving that they begin to believe that no one can deliver care as well as they do. That’s a path that leads to burnout. You’re losing patience and gaining weight. Focusing on details is becoming more difficult. A glass of wine in the evening has become three glasses throughout the day. You need something to banish an increasing number of negative thoughts and a growing list of aches and pains. Burnout is creeping up on you. Keeping a daily journal with your thoughts and emotions can make this clear when you re-read past entries. It’s time to get help, either from other family members and friends or professional care services. A senior with dementia can add an unpredictable element to situations. Rage, aggression, and wild emotional swings can be caused by something as trivial as a misplaced item of clothing. The temptation may be to meet the situation by shouting back at the senior, but it’s one of the worst things you can do. Backing away from a situation can help. However, if it is a safety issue for the senior, you will have to stand your ground fairly and firmly. Likewise, it is counterproductive to constantly remind a senior with dementia that you have already given them some information. It can only be a source of frustration for both of you if you keep saying, “Don’t you remember?” because they really don’t remember. Caregivers need and deserve care as well. Here are a few tips for those concerned and well-intentioned people who support caregivers. Do: Listen. Caregivers sometimes need someone to talk to. You may not have any solutions for them, but just listening can be therapeutic. Don’t: Impose Guilt. Recognize that caregivers are under stress. You believe you’re offering constructive ideas, but they may sound like criticism and second-guessing of the caregiver. If you’re asked for advice, share what you think in a positive and affirming way. Caring for a loved one is no easy task, and it takes a support system. 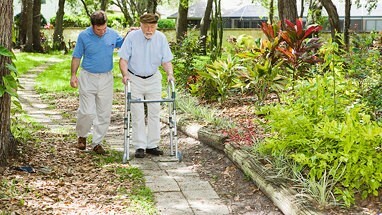 Through our Care Management program, we are able to assess the level of care that your senior needs and work with you to create a unique care plan. Contact us to learn more about how this service can benefit you and your senior loved one.